We promote projects we believe in to potential donors. HMWV is an imprimatur of sorts. Many of us are creators ourselves (see Advocates). In that effort, we use all the juice - Google, reputational and otherwise - at our disposal to make sure projects succeed. No one in this group is paid for their work. 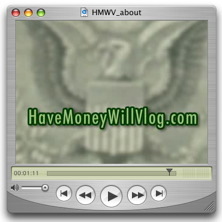 We are simply promoters; we connect creators with interested audiences who will pay to see compelling video. What do we get out of doing this? We get a lot of juice from helping fantastic projects succeed. We help out because we want great content to find the right eyes. Check out our active members for individual motivations. We usually stray away from commercial projects (but not necessarily); we often smile at people that just want a new HD camera (but we never count it out); we like projects where the creator is sacraficing something to make the project happen (but it isn’t a requirement); we like promoting creators who already have a small network who can donate (but we love unknowns as well); we like projects that attempt to change how we see the world (no exceptions here).